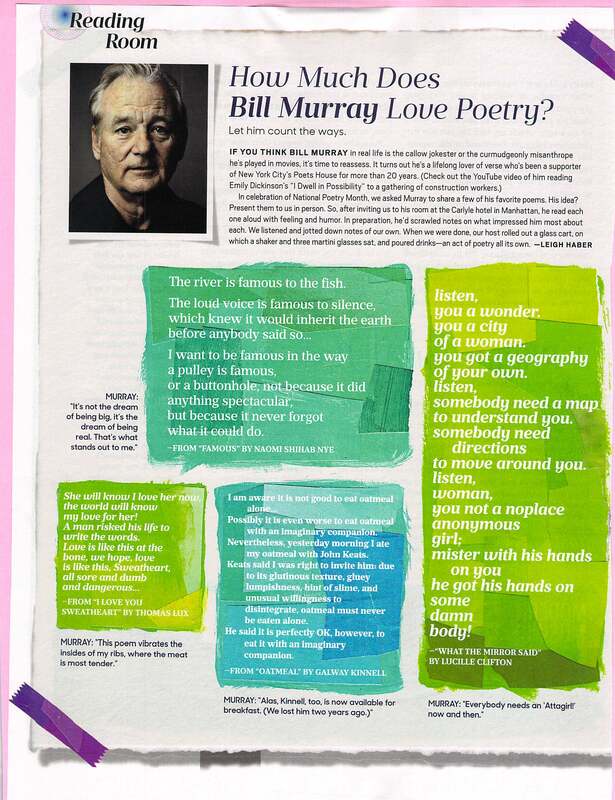 The other night, I heard Bill Murray talking with Jimmy Kimmel about his secret love of poetry. To my delight, he read one of his favorite poems out loud. It was “What the Mirror Said” by Lucille Clifton. If you look on the right-hand side of this page from Oprah magazine, you’ll get familiar with it too.